When it comes to body-positive underwear manufactured sustainably, we’re self-confessed devotees. If we’re not talking about Californian brand Pansy and their stretchy separates, we’re raving about Mariyat’s strapped and ribbed creations. But it seems there’s a new kid on the block. When we heard about Lara Intimates - a soon-to-be-launched range of soft, supportive, eco-conscious undies - we instantly wanted to know more. The brand is the brainchild of Cindy Liberman and Faith Leeves, two London College of Fashion graduates who believe that when it comes to bras and knickers, “style, size and sustainability shouldn’t have to be mutually exclusive.” Their principles are straight-forward. Lara Intimates are elevated basics for women of all sizes. They’re made from reclaimed materials - think unused or mis-dyed fabric that large brands or factories would have left to landfill. The girls know more than a thing or two about fit and cut when it comes to underwear, after meeting one another whilst studying for a degree in Fashion Contour. When it comes to aesthetic, their debut lookbook is grown-up, girly and dreamy - all rolled into one. Despite a recent wave of “anti-male-gaze” imagery when it comes to underwear, it’s still so refreshing to see realistic shapes and sizes take centre stage. Soft stomachs, birthmarks, minimal re-touching - these are all elements that Lara Intimates are putting right out there. Go girls. The label officially launches in September, however Cindy and Faith have launched an important Kickstarter campaign to realise their Lara ambitions. For them, this means crowdfunding to help start up a Lara Intimates factory in East London. “We’re launching Kickstarter crowdfunding to pay for fabrics, specialist lingerie sewing machines, equipment and a studio space in East London” the girls told us. This is integral to their ethos of a local supply chain and a sustainable method of production. We couldn’t agree more. From powder blue bras to stretchy bodies, Lara has something for everyone who’s looking to step away from scratchy, fussy and badly-made basics. Plus, their strong eco-conscience will mean you can rest easy in your dusky pink bra-and-knicker set. Lara Intimates Kickstarter campaign launched on 8th May and you can get involved here. 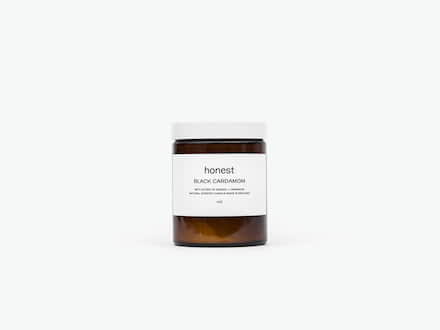 Honest’s sweet smelling Black Cardamon candle is housed in a recycled glass jar - meaning you can enjoy their bestselling candles, with a conscience. 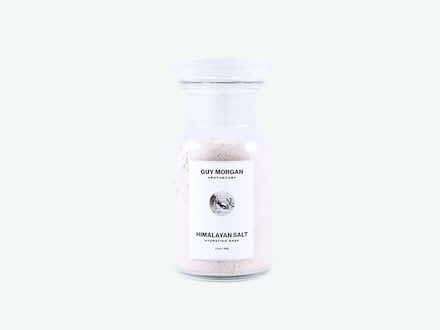 Guy Morgan’s deep-cleaning Himalayan Salt Mask is the perfect shade of pink to match Lara’s pastel undies.